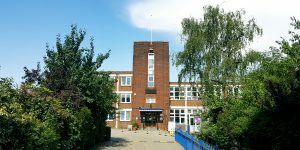 The first IDEAS Bus event will take place at Oakington Manor School, Brent, on 1st November 2016. Oakington Manor is a primary school with an outstanding OFSTED rating, exceptional academic reputation and excellent ICT facilities. Serving the needs of 750 children, the school places as much emphasis on conduct and personal achievement as it does on league tables; ensuring that each individual child is empowered to be the best that they can be. The school prides itself in having a long history in ICT and Computing, taking their knowledge and expertise to support schools in their local area as well as partner schools around the world. Their approach to the Computing curriculum gives children opportunities to explore, to create and evaluate their computing and ICT work. The whole school is excited about being the first school in the country to have the big yellow IDEAS bus in their playground. They can’t WAIT!